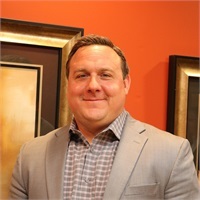 Brent Hoffman is a Registered Representative and Investment Advisor Representative with Fifteen:22 Financial Partners. He advises individuals, families, and small businesses on how to best grow and protect their assets. 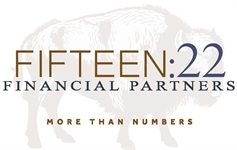 Prior to working with Fifteen:22 Financial Partners, Brent worked as an analyst and adviser for nearly five years at the largest commodity firm in the world, MF Global in Chicago, Illinois. His work at MF Global focused on grains, metals and energy. Brent got his start in financial markets by working in the oil and natural gas business. He was involved in the financing and oversight of over two dozen exploration and developmental projects in east and central Texas that resulted in new discoveries of both oil and natural gas. In 2003, Brent opened a commodity brokerage firm named Grace Capital, Inc. He operated Grace Capital for two years trading grain, energy, precious and industrial metals, treasuries, livestock, currency, and soft commodities. Currently, Brent is an active member of Morning Star Church in Lawrence, Kansas where he serves on the First Impressions Team and the Missions Committee. He also serves on the board of a local homeless family ministry called Family Promise.